As part of a team charged with creating digital content for the Umbro channels, our latest project has been to animate the illustrations of Victor Beuren, to celebrating the Umbro Speciali boot history and a tongue and cheek look at the Umbro sponsored player Pepe of Real Madrid’s various haircuts through his career. 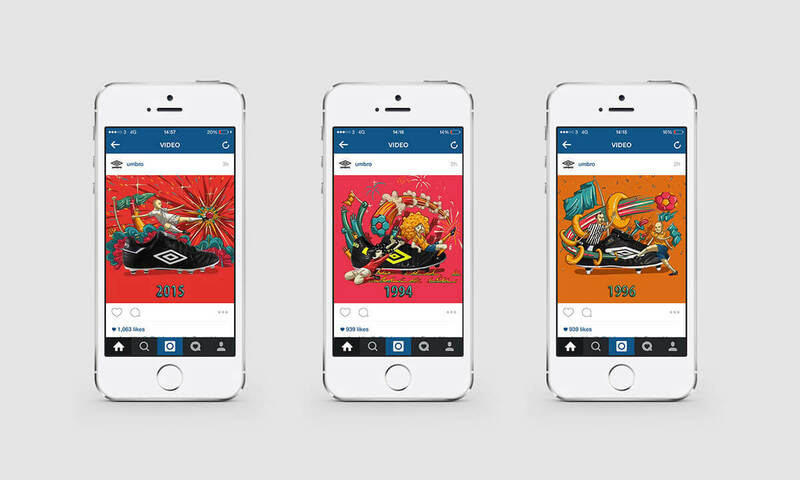 After Victor had completed his illustrations I was asked to produce and animate the boot side of the story, bringing the dynamic artwork to life for Umbro’s social media channels. Each boot in the timeline consists of key players who have worn the boot, including caricatures of Owen, Shearer and Valderama.